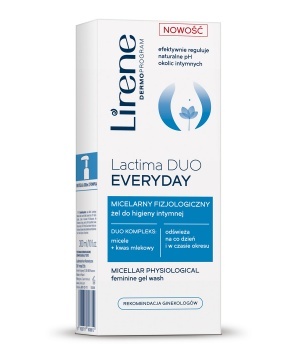 The EVERYDAY formula is designed for women who need effective daily care and lasting refreshment of the intimate area. 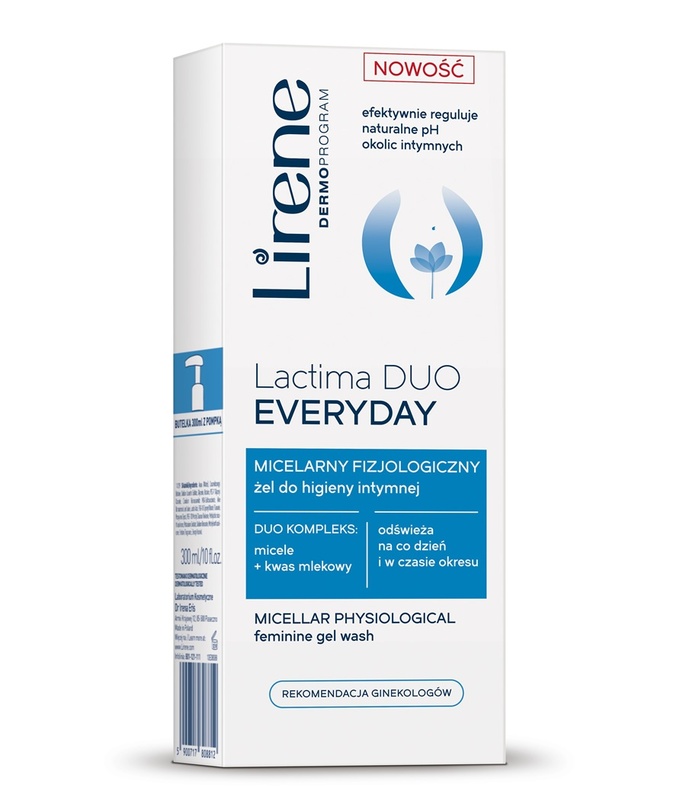 • It gently cleanses the intimate area and offers effective, lasting refreshment. The micellar gel formula comprises a complex of mild cleansing ingredients based on betaine. The ingredients ensure effective cleansing and leave you feeling clean and fresh for long. • It ensures adequate antifungal protection and microbial balance. Lactic acid effectively regulates your pH balance, restoring the natural acidity level of the intimate area. It provides daily protection from infections and inhibits the growth of bacteria which can cause unpleasant smell. • It prevents excessive dryness and irritation of the mucosa. Thanks to their moisturizing and soothing properties, aloe and glycerin help to soothe irritations and bring comfort by ensuring the optimum skin moisture level. The gel wash contains no soap, colourants or parabens, it is exceptionally mild and safe for the skin. Directions for use: wash the intimate area, applying a small amount of the product to moist skin. Rinse thoroughly. For external use only.